May 31, 2013 in News. Graphics32 is a rich, high-performance 32bits graphics library for Delphi, with extensive capability. This showcase was submitted by Christian-W Budde, who is an active contributor to the Graphics32 project. March 12, 2009 in News. 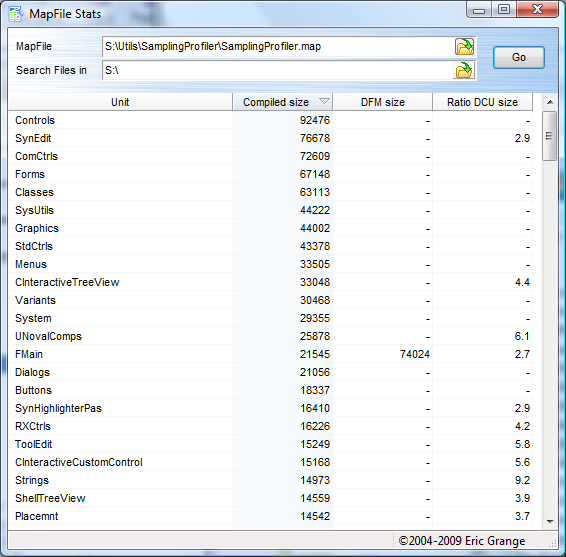 MapFileStats is a simple free utility to obtain executable binary size statistics derived from a “.map” file. Use it to know which units contribute the most to an executable’s size, which DFMs are the largest, which units you have dependencies on but barely use in your executable, or merely to know exactly what gets into your executable. 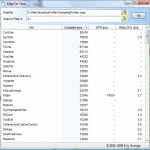 You can integrate it into the Delphi IDE via the Tools menu, see the MapFileStats page for more details or to the download page and see for yourself!